Zephyrus was one of the wind gods of Greek mythology. Representing the west wind, Zephyrus was considered to be the gentlest of the Anemoi, and the beneficial bringer of spring. ​Zephyrus was one of the four Anemoi, the wind gods representing the cardinal points of the compass; thus, Zephyrus was the son of Astraeus and Eos. Zephyrus would represent the west wind, and his brothers were therefore, Boreas, the north wind, Notus, the south wind, and Eurus, the east wind. ​Zephyrus was more than just a wind god though, for the Ancient Greeks also saw Zephyrus as the god of spring, for the gentle winds of the west which came more prevalent in the springtime, indicated an end to winter, and the time when plants and flowers started to grow. The Roman equivalent of Zephyrus was Favonius, meaning favouring, and thus Zephyrus was considered a beneficial god. ​The beneficial nature of Zephyrus was perhaps not present during the Deluge of Deucalion, for some tell of Zeus employing all of the Anemoi to bring the storms that led to the rains of the Great Flood. Although others tell of how all bar Notus were locked up during this period to prevent them dispersing the rain clouds. Certainly in the works of Homer, Zephyrus was considered a beneficial god, for when the funeral pyre of Patroclus would not set alight, Achilles prayed to Zephyrus, and Boreas, and Iris bade the two wind gods to come to the Troad to assist. Upon the arrival of the two Anemoi, the funeral pyre lit, and the two gods ensured it burnt all night. It was also said by Homer that Aeolus, when he gave the bag of winds to Odysseus, bade Zephyrus to swiftly send the Ithacan king home, although Odysseus’ men scuppered this swift return home. At the same time though, it was also said by Homer that Zephyrus, along with his brothers, had been the caused the storms that had previously endangered the voyage home. ​Zephyrus was normally depicted as a handsome young man, although like the other Anemoi, Zephyrus was also shown as a horse racing in front of the winds that followed. As a handsome youth though, Zephyrus was said to have vied for the attention of the Spartan youth Hyacinth. The beauty of Hyacinth also saw the god Apollo become interested in him, and effectively, Hyacinth chose the love of Apollo over Zephyrus. A jealous Zephyrus would then cause the death of Hyacinth, for as Apollo and Hyacinth threw a discus, Zephyrus cause a gust of wind to redirect the discus thrown by Apollo, so that it hit the head of Hyacinth, striking him down dead. Zephyrus was married to Chloris, probably an Oceanid nymph. 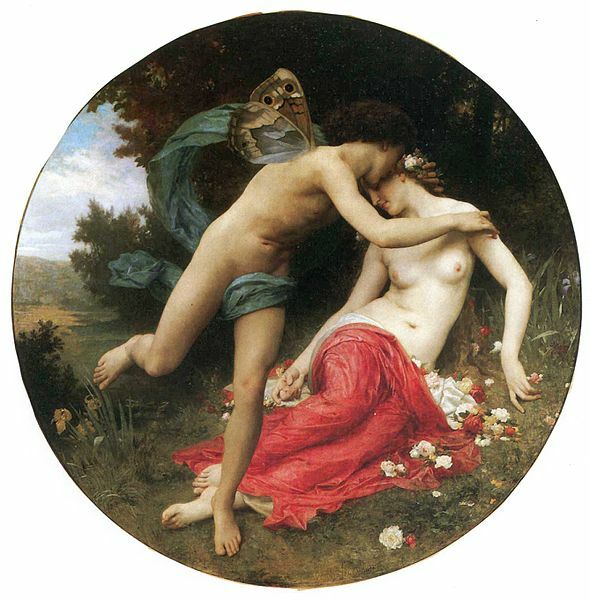 Zephyrus made Chloris his wife, in much the same way as Boreas wed Orithyia, for Zephyrus abducted Chloris. Chloris would become known as the goddess of flowers, for she was the Greek equivalent of Flora, and living with her husband, enjoyed perpetual spring. The marriage of Zephyrus and Chloris brought forth a son, Carpus, the Greek god of fruit. Some also tell of Zephyrus being married to Iris, the goddess of the rainbow, and Hera’s messenger, although this partnership is not universally agreed upon. Those who tell that Zephyrus and Iris were married, also tell of Eros and Pothos being their sons, but again these two gods were more closely linked with Aphrodite. ​Zephyrus was closely linked with horses, and the Anemoi was also named father to two famous ones, Balius and Zanthus, the talking, immortal horses that were passed down from Peleus, to Achilles to Neoptolemus. The mother of these were horses was said to be Podarge, one of the Harpies. Some also tell of the immortal horse Arion being a son of Zephyrus, a horse owned by Heracles and Adrastus, although more commonly Arion was described as an offspring of Poseidon and Demeter. Additionally, some also call tigers children of Zephyrus.